Cyclists have more ways than ever to make themselves conspicuous when on the road: fluorescent-orange helmets, reflective trench coats, bike horns that mimic car horns, and lighting systems with red lasers that project downward to create a virtual bike lane. Until recently, however, there wasn’t an effective method of illuminating the entire bike frame. “Bike lights shine onto the road and into drivers’ eyes, but it’s not like they light the bike itself,” says Zach Schau, a co-founder of Pure Fix Cycles. Two years ago, Mr. Schau’s company overcame that limitation by creating a line of bicycles that glow in the dark. “Our bike is actually the light itself,” he says. Pure Fix Cycles was started in 2010 by Mr. Schau, his younger brother, Jordan, and two of their childhood friends, Austin Stoffers and Michael Fishman. They came up with the concept for the company while three of them were still college students, and their story offers lessons for entrepreneurs who plan to start their careers by opening a business. In the fall of 2010, Mr. Stoffers and Mr. Fishman, then seniors at the University of Wisconsin-Madison, were looking for a business idea at the same time that they were on the hunt for inexpensive bikes to ride to and from their classes. 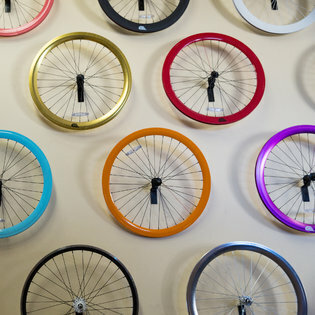 In their bicycle research, they came upon fixed-gear bikes, or “fixies,” a style that has one speed and is built without the free wheel that keeps a regular bicycle’s pedals stationary while the tires are in motion. Fixies were expensive at the time, selling for $700 to $1,200. 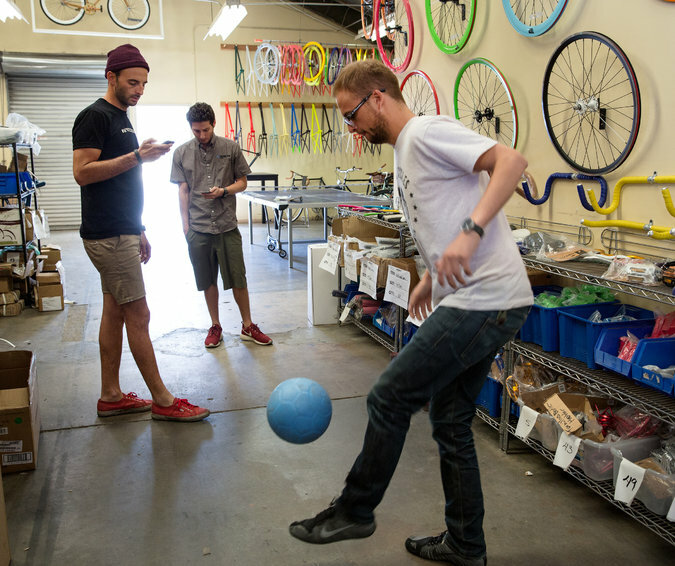 Mr. Stoffers and Mr. Fishman, both now 25, were convinced that they could make and sell versions of the fixie for less than half the going price. “Because it’s so simple, it can be affordable if it’s done right,” Mr. Stoffers recalls thinking. They found a manufacturer in Asia that could make the bikes inexpensively. Then, contrary to what competitors were doing, they delivered the fixies directly to consumers and stores without relying on distributors. They based the company in the Los Angeles area, where Zach Schau was living and where he and the other three had grown up. But having neglected to do any capital planning, the company’s founders repeatedly struggled to raise enough cash to replenish and expand their inventory during their first year in business. This is a common misstep among new entrepreneurs, according to H. Irving Grousbeck, consulting professor of management at the Stanford Graduate School of Business. The founders stopped short of asking their dentists for money, but they did seek loan guarantees and advice from their parents, some of whom are entrepreneurs themselves. Another challenge was a lack of management experience and an inefficient division of responsibilities. Each of the four was doing a quarter of every task, from shipping out orders to picking colors for the wheels to building an ad budget. Still, in its first year, Pure Fix Cycles achieved sales of about $1 million. The business was strong enough to catch the attention of a small group of investors, who gave the start-up $300,000 in 2011. Soon after, the company began to evolve quickly, in large part because the founders hired one of their investors, Andy Abowitz, a former senior vice president of international business development at Priceline, to become their company’s president. Under this new guidance, they were able to carve out their own specialties based on their individual strengths. The founders say the financial boost and additional managerial skill made it possible for them to experiment with new ideas, including the glow-in-the-dark bike. They had seen one-off versions of such a bicycle before, but the paint used on them was “uber-expensive,” Zach Schau says. He estimated that the paint alone would cost nearly $1,000 per bike. The company was also searching for incandescent alternatives overseas. The founders repeatedly asked their manufacturers in Asia to make a cheaper phosphorescent paint, and in 2012 one produced a solar-activated finish that could hold a maximum of about three hours’ glow. Eager to get to market, the Pure Fix Cycles founders threw their energy behind improving the quality of the paint. Three months later, they introduced their Glow bikes, and in just two weeks sold out the initial 400, priced at $399 apiece. The bikes come with the frame and wheels — or just the frame, or just the wheels — glowing in the dark. 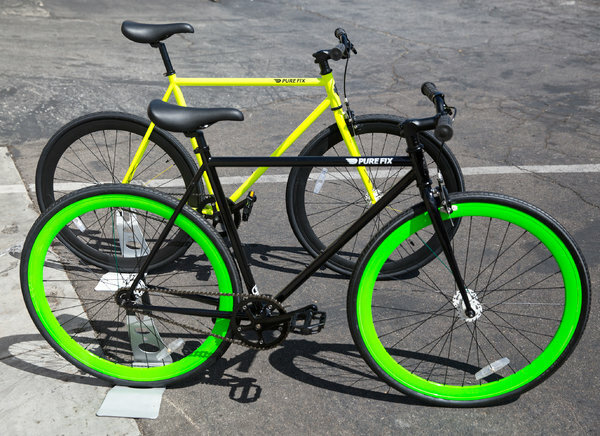 A business with a similar product is the Mission Bicycle Company, based in San Francisco; its Lumen bikes are coated with a reflective paint like that used on street signs. Mission Bicycle, which custom-builds each client’s bike, gets the finish from a paint company that specializes in civil engineering projects. The price for a bespoke Lumen begins at $999. The founders of Pure Fix Cycles say that being a pioneer in glow-in-the-dark bikes gave them a financial boost and increased the recognition of their brand, helping them to go on to develop other products. They are now selling a bicycle with multiple gears, as well as bikes for children. The company aims to expand the Glow line, and Jordan Schau, in particular, is hoping to experiment further with reflective technologies, despite his ill-fated efforts with the glass beads.